Medicaid pays for long-term care. 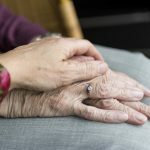 Most people will need living assistance eventually, and Medicare does not pay for custodial care, which is the type of care you would receive in a nursing home or assisted living facility. Although Medicaid can provide coverage for long-term care, what happens when you pass away and Medicaid comes after your assets? 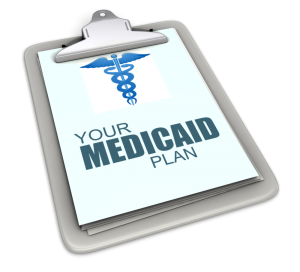 Let our Charlotte elder law attorney explain how Medicaid recovery works and how to be prepared. To qualify for Medicaid, some people will divest themselves of assets, giving loved ones their inheritances in advance so they can qualify for Medicaid. This can be done, and it is often done. In fact, Medicaid currently pays for most of the long-term care that seniors are receiving, but you do have to be aware of the five-year look back. When you apply for Medicaid, evaluators will examine your financial transactions going back five years. If they find that you have given away assets within five years of applying, your eligibility will likely be delayed. We should point out that it is never too late to implement a Medicaid plan. Ideally, you would plan to protect family members five years before you apply, but you can still provide some protection if you take the appropriate steps. Now, some might wonder why there would be any need for planning if Medicaid can cover those costs. After all, the program was designed to help low-income Americans get health care coverage, right? The problem is that the Medicaid program’s eligibility standards include limits on both assets and income – and many seniors often struggle to meet those limits for a variety of reasons. You can retain ownership of certain resources when you are applying for Medicaid without impacting your eligibility status. The biggest thing is your home. If you are a homeowner, your home is not considered to be a countable asset if you apply for Medicaid to pay for long-term care. However, there is an equity limit. Ask our Charlotte elder law attorney about the current equity limit in North Carolina. 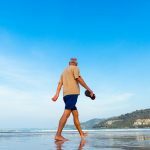 If you maintain direct personal ownership of your home throughout your life, and you use Medicaid to pay for long-term care, though, Medicaid would be required to seek reimbursement from your estate. As a response, Medicaid planning may include transferring ownership of the home to family members before you apply for Medicaid. For example, if one of your children was living in the home to act as your caretaker for at least two years before you apply for Medicaid coverage, you may be able to give that child the home, and the Medicaid program would not go after the home after you pass away during Medicaid recovery efforts. The best way to avoid those consequences is to start early with your Medicaid planning. Our Charlotte elder law attorney can help you prepare a strategy that will ensure that your assets are properly organized to facilitate your eligibility for the program benefits you may one day need. Using effective strategies and tools like irrevocable trusts, you can safeguard assets from creditors and the high costs of nursing home care. More importantly, you can protect those assets and ensure that they’re available for your heirs when you pass away. Join us for a FREE seminar today! If you have questions regarding trusts or any other estate planning matters, please contact the experienced attorneys at The Potter Law Firm for a consultation. You can contact us either online or by calling us at (704) 944-3245 (Charlotte, NC or Huntersville, NC), or for individuals in Kentucky, (606) 324-5516 (Ashland, KY) or (859) 372-6655 (Florence, KY). We are here to help!